Unlock Big Head Mode (Donkey Kong Mode) in Local Multiplayer. To switch it off, reset defaults. "What special modes and cheats can people look forward to?" ....In multiplayer, since we have moved GoldenEye into the online arena, 'cheats' are something we try to stay away from. So that is their feeling on GoldenEye Wii cheats. That isn't to say there aren't going to be any, it's just that they are avoiding them in multiplayer. Update November 5, 2010 - GoldenEye Wii cheats are coming! Please please have a bit of patience while we get listings for you. This is our blog, but our main GoldenEye 007 game website is GoldenEyeForever.com and can be found here. We cover every GoldenEye 007 game and have the greatest cheats and Gameshark codes for GoldenEye N64. We have a full tutorial on how to play the original N64 GoldenEye on your PC and play people online flawlessly! Let the confusion begin! 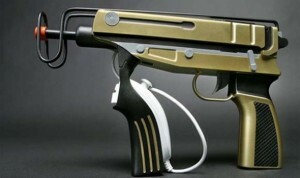 Well once GoldenEye Wii is released I think a problem is going to be for people finding the right GoldenEye cheats. If you Google GoldenEye cheats, you'll get N64 version. If you Google GoldenEye 007 cheats, same thing. To find GoldenEye Wii cheats, you will need to include Wii in the search or you will be frustrated. Just a thought. I'm sure Nintendo and Activision are aware of the issue, but cheats is a big search for GoldenEye. It may be hard for GoldenEye Wii players to find the cheats they need. That's where we hope to help! 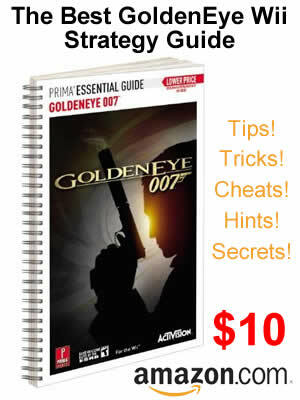 We will have all the GoldenEye Wii cheats, so you know where to come once the game is released!